It seems like the more free RootsMagic classes we do, the more requests we get for additional topics. Here are 4 new classes scheduled for the next couple of months. Each class will be limited to the first 1000 people to sign up, but if you miss out or can’t make it, don’t worry because we will record the class for you to download and watch later. Putting your data on your own website is a great way to share your research with family members and to make connections with unknown cousins and distant relatives. 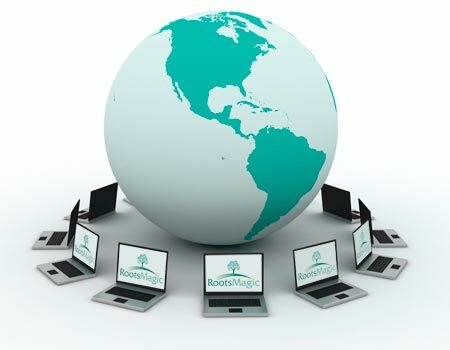 Join us for a look at how to build your family website with RootsMagic and different options for sharing it online. Google Earth is a 360 degree, 3-dimensional way to view your ancestors world! In this webinar you will learn from Lisa Louise Cooke how to unlock mysteries in your research – from unidentified photographs, to how a location looked a hundred years ago or more. You’ll also see the potential this free program has for helping you tell your family history stories in a compelling visual way that will fascinate your family. You can find a person by name in RootsMagic, but do you know how to find all females born in England between 1780 and 1820 who never married? Join us for a look at RootsMagic’s powerful searching capabilities that help you find what you’re looking for both in your own file and online. They say a picture’s worth a thousand words but pictures of your family history are priceless! Join us for a look at how to scan and add pictures into RootsMagic of people, places, and sources to really bring your family tree to life! Why Do I Need a Backup of my RootMagic Database? I’ve just switched to RM from a similar program because of your free seminars and friendly tutorials. It seems that you are more interested in helping people than in making money on one thing after another. Very refreshing!!!! I’ve just switched to RM from a similar program because of your free seminars and friendly tutorials. It seems that you are more interested in helping people than in making money on one thing after another. Very refreshing AGAIN THANK YOU.